The Predator Pro Slip On Exhaust is the original Modern Classic Slip On. The 3rd Generation Pro model has been updated for the latest Triumph Models. 100% 304 Stainless Steel, TIG welded, and rubber mounted for a clean, factory finish. Available in full size, shorty, or 3.5” versions. The Performance Tips are designed specifically for the liquid cooled Triumph Street Twin, Street Cup, Bonneville Bobber, and Thruxton 1200/R. Increased Exhaust volume with a classic drag “Straight Pipe,” or slash cut “Turn Out” style. One of the most popular upgrades ever made for the Triumph Modern Classic line. The cateye style Fender Eliminator Kit comes with a plug n play brake light, underplate, rear license plate holder and all hardware. Eliminates the rear fender for a minimal, cafe racer inspired look. Machined from high-quality aluminum and designed to pop right into the factory side cover mounting holes on late models Triumph for a quick and easy installation. Available in Satin Black or Brushed finish to complete your Cafe Racer, Scrambler or Tracker build. 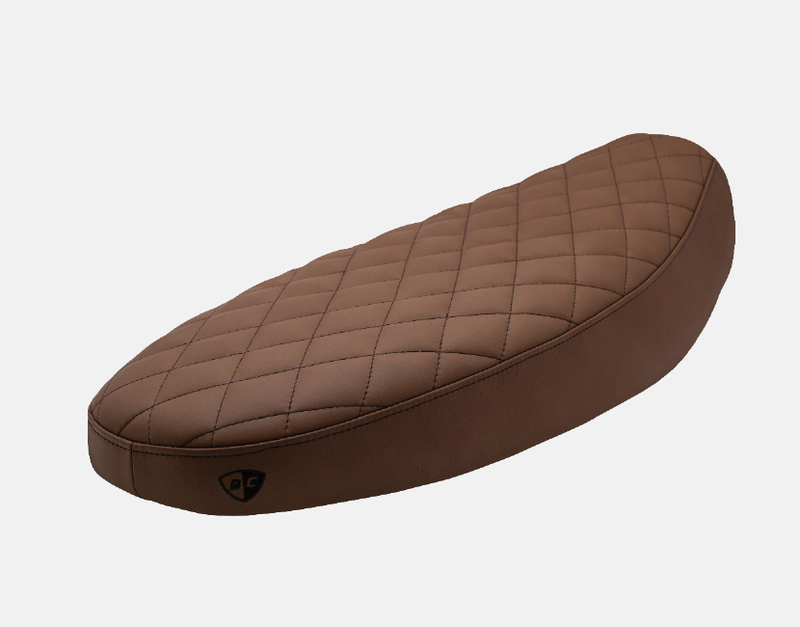 This bench style seat features a medical grade gel + high density foam blend wrapped in a London Tan genuine leather for maximum comfort and support. Also available in black or brown vinyl with diamond stitch or tuck n roll stitch patterns. The Pan Tail Light is a brake light + license plate holder (US spec) combo that replaces the factory tail light assembly. Completely plug n play for a simple install without and cutting or splicing of wires. Pair with our Turn Signal Kits for a total lighting transformation. 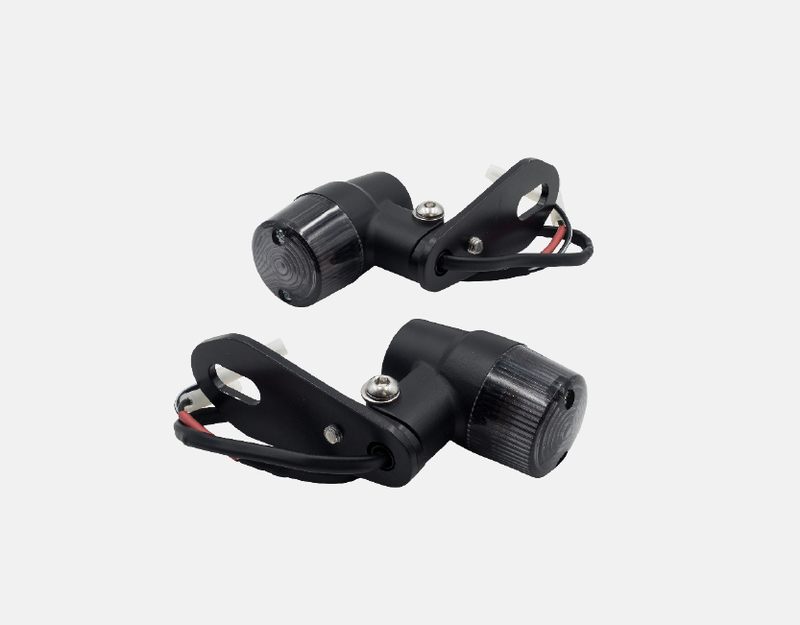 These Turn Signal Kits are available for front and rear applications and come pre-assembled and wired for a plug n play, bolt on installation. All brackets, harnesses, and indicators are included in the kit. Available with the popular Retro body style or the new Bullet body style. The High Fender Bracket enables Triumph Modern Classic riders to increase the clearance between their front fender and tire while providing a dirt bike style look. This bracket is designed to work with the stock fender. *Shown with optional shorty fender. This kit is designed to remove the headaches that come with changing the handlebars on your late model Triumph. The kit includes Tracker bars (additional bends available), clamps, and cut to length brake line so you can change your ergonomics without breaking the bank. British Customs partnered with Noleen Suspension to develop model-specific suspension updates for Triumph Modern Classics. 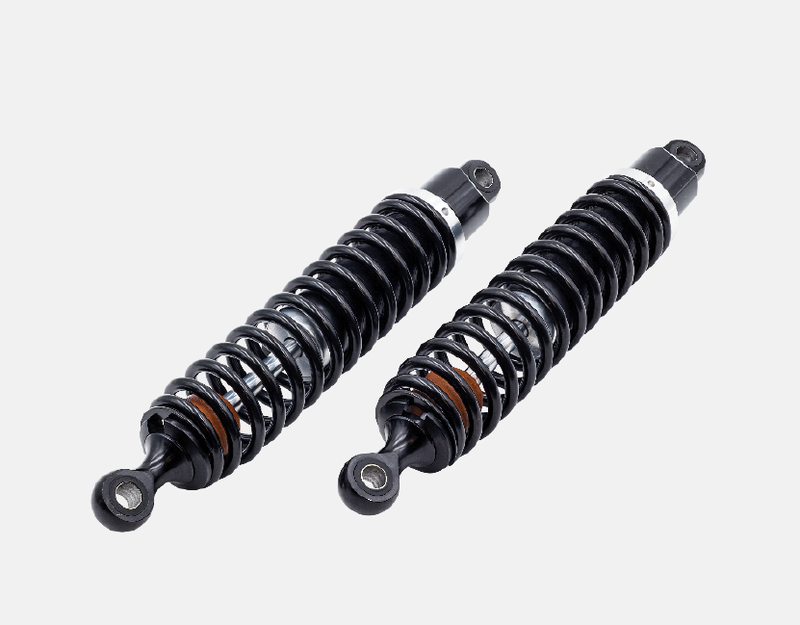 Engineered for each model to achieve the best suspension performance available. Also available in a Piggyback version.